Did you know - Raisins range from about 67% to 72% sugars by weight, most of which is fructose and glucose. They also contain about 3% protein and 3.5% dietary fiber. 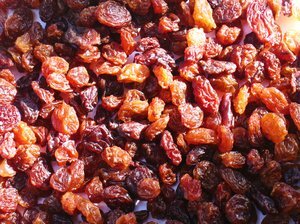 Raisins, like prunes and apricots, are also high in certain antioxidants.